Urban Outfitters Inc., American Eagle Outfitters Inc., and other retailers are filling stores with styles from the 1990s in a bet that fanny packs, chunky-soled sneakers and high-waisted “mom jeans” will lift back-to-school sales. U.S. apparel retailers, hurt by more consumers shopping online and declining mall traffic, have been starved for a major new fashion movement to entice finicky millennial buyers. With back-to-school spending expected to rise due to a strong economy and high consumer confidence this year, retailers are hoping renewed interest in ’90s fashion will fuel a recovery in the sector after several quarters of sales declines. The trend is a leading back-to-school story, with a six-fold increase in the number of kidswear products described as 90s’ style online in July, said Katie Smith, analyst for retail technology company Edited. Chunky sneakers or Buffalo shoes alone,—a streetwear classic from the ’90s with thick rubber soles—recorded a 76 percent rise in arrivals in kidswear this June, Smith said. The fashion reboot is being characterized as the “Friends” trend, according to A-Line Partners analyst Gabriella Santaniello, with teens and millennials inspired by what characters wore on the ’90s hit television show that is now available on Netflix and YouTube. For example, Urban Outfitters is selling the ‘Urban Renewal Remade ’90s Shortall Overall’ and the ‘New York minute corduroy skirt’, which resemble clothes worn by Rachel Green, a popular character played by Jennifer Aniston on “Friends”. “There has to be something that is forcing teens to get out there and shop and I think there hasn’t been something for such a long time. So that’s why I think this (trend) is a positive shift,” Santaniello said. The back-to-school sales period is the busiest shopping season behind the year-end holidays and can contribute a third of profits for retailers. Shoppers will be doling out an average of $284 on clothing and shoes compared with $186 on electronics, a 28 percent increase over last year, according to a survey by RetailMeNot Inc., a website that tracks coupons and promotions at major retail brands. Deloitte’s annual back-to-school survey shows that shoppers will spend more on clothes and accessories, about $15 billion or 55 percent of the total $27.6 billion expected to be spent. Retailers are in a pretty good spot, especially in North America, where the economy is healthier than a year ago, NPD’s lead retail analyst Marshall Cohen said. American Eagle’s global brand president Chad Kessler said it is bit of an evolution, with high-rise mom jeans and crop tops influencing shoppers this year. “I do think the 90s are a big influence,” Kessler said. 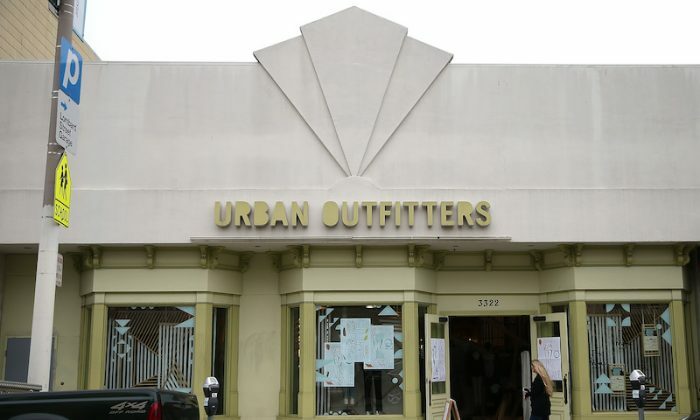 Because Urban Outfitters targets both adults and young shoppers, with its Anthropologie and namesake stores, BlueFin Research analyst Rebecca Duval said she expects the company to be one of the strongest brands this season along with Gap Inc.
Urban Outfitters is expected to post same-store sales growth of 5.6 percent in the third quarter, while American Eagle could report a 4.6 percent rise, according to Thomson Reuters I/B/E/S data, marking the best growth in three years. Although Gap and Nordstrom are not expected to show the same same-store sales growth, overall sales for the four retailers are expected to be the highest in at least four years. U.S. apparel retailers struggled after millennials, born between 1986 and 1996, switched to fast-fashion trends from European labels like H&M and Inditex’s Zara. The shift forced retailers to diversify inventory and rely less on once popular logo emblazoned apparel. Social media is also having an impact, with retailers using the medium to market and rope in younger buyers. Milliner Jennifer Ouellette has combined a concern for the environment and the livelihood of her staff with painstaking, traditional craftsmanship.